The UK Government has the power to decriminalise abortion in Northern Ireland. Today, 5th June, leading campaign and civil society groups across the UK and Northern Ireland have called on the UK Government to decriminalise abortion in Northern Ireland by repealing sections 58 & 59 from the Constitution. “The historic landslide result in the Republic of Ireland has shone a spotlight on situation facing women and girls in Northern Ireland today. Under the current law it is illegal to procure an abortion in Northern Ireland in almost all circumstances, a crime which carries a sentence of life in prison. "Abortion is a reality in Northern Ireland, with 700 women travelling to the UK mainland last year for terminations and at least 400 buying illegal abortion pills on the internet, taking them in unsupervised conditions. "We are united in calling on the UK Government to repeal sections 58 & 59 from the Constitution to allow a space for the devolved government in Northern Ireland to act on this issue. We cannot continue to criminalise women and girls who find themselves in crisis pregnancy situations. We cannot continue to shame and exile these women to Great Britain in order to access healthcare services, which should be available to them at home. 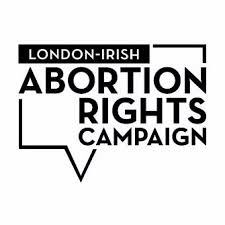 "We are calling for the decriminalisation of abortion for women who have abortions, medical staff and anyone else who assists them. Northern Ireland has one of the most restrictive laws in Europe and carries the harshest criminal penalties. UK Ministers have the power to intervene to ensure that women in Northern Ireland are given the same rights as their fellow citizens in England, Scotland and Wales. The lack of an Assembly in Northern Ireland does not absolve the UK parliament of its duty to act on this issue."